CUNY Newswire — The Board of Trustees of The City University of New York voted unanimously today to appoint James B. Milliken, President of the University of Nebraska system since 2004 and a nationally prominent leader in public higher education, as the seventh Chancellor of CUNY, the nation’s leading urban public university. The appointment follows the unanimous recommendation of a 16 member search committee of trustees, CUNY college presidents, faculty, students and alumni led by Board Chairperson Benno Schmidt, a former president of Yale University and a former dean of Columbia University Law School. The committee was assisted in its national search by Isaacson, Miller, a leading executive search firm in the not-for-profit sector. President Milliken is a Phi Beta Kappa graduate of the University of Nebraska and was a Root-Tilden Scholar at New York University, where he earned his law degree in 1983. He spent the better part of a decade in New York City, having served with the Legal Aid Society’s Civil Division, Chelsea Neighborhood Branch, and subsequently as an attorney with Cadwalader, Wickersham & Taft from 1983 – 1988. He served in numerous leadership capacities on state, national and international levels, including recently representing the United States in the U.S.-India Strategic Dialogues conference in New Delhi with Secretary of State John Kerry. President Milliken currently leads the University of Nebraska system, a statewide public university comprised of four main campuses, including one of the nation’s top 50 public universities. The University of Nebraska enrolls more than 50,000 students, employs approximately 13,000 faculty and staff, and operates with an annual budget of $2.3 billion including research expenditures of well over $300 million. Previously he served as Senior Vice President for University Affairs at the 16 campus University of North Carolina system. He led a division responsible for the development and implementation of university-wide strategy, outreach, economic development, state and federal government relations, public affairs, communications, and advancement. President Milliken has demonstrated a deep commitment to academic excellence, educational access, economic development and community outreach. He has raised enrollments and donations at the university to record levels, dramatically expanded financial aid and scholarships, increased ties to Nebraska’s public schools, and pioneered distance education through the groundbreaking University of Nebraska Online Worldwide program and the Virtual Scholars program for high school students. His presidency has included a focus on strategic initiatives resulting in expanded access; record increases in research; significant physical expansion of the campuses; a highly successful capital campaign; and an emphasis on public/private partnerships and global engagement. Under President Milliken’s leadership, enrollment at the University of Nebraska in 2013 reached a 20-year high, totaling 50,705 at NU’s four campuses: the University of Nebraska-Lincoln, the system’s flagship campus and one of the nation’s top 50 public universities; the University of Nebraska at Omaha, home of the multi-campus Peter Kiewit Institute of Information Science, Technology and Engineering; the University of Nebraska at Kearney; the University of Nebraska Medical Center, site of the cutting-edge Durham Research Centers and NIC-designated cancer center; as well as a college that offers a two-year technical degree program. First-time freshmen enrollment rose by nearly seven percent in 2013, and international student enrollment also grew to record levels, totaling 3,638 including students from more than 130 countries. During his tenure, the University of Nebraska has made record investments in financial aid, including Collegebound Nebraska, which guarantees that qualifying Nebraska students can attend NU and pay no tuition. Approximately 7,000 students attend tuition-free under the program. In addition, through several high school academies the university provides students in Omaha, Grand Island, Kearney, Lexington and North Platte with early advising and full scholarships, helping increase college-going among historically under-represented student groups in the state, including first-generation, low-income and minority students. President Milliken has described human capital as America’s greatest asset in a global economy. He has emphasized the value of outstanding academic programs, ranging from the liberal arts to the STEM disciplines, in order to “teach students how to communicate well, how to solve problems, and how to work collaboratively.” For example, the University of Nebraska’s Peter Kiewit Institute is designed to advance research, scholarship, and creative innovation and help meet the needs of the nation’s technology and engineering firms by offering top-flight education in computer science and engineering. Under President Milliken’s leadership donors to the University of Nebraska gave a record $236.7 million to the school in 2013, the best year ever for private gifts. This amounted to a 43 percent increase over the last fiscal year and a 37 percent increase over the previous gift record in 2011. An important component of the university’s successful fundraising has been its ability to leverage the support of the Nebraska Legislature in providing funds for several major initiatives that will benefit the state. With a year remaining in a major capital campaign, the university has raised over $1.5 billion—well in excess of its initial goal of $1.2 billion. President Milliken has helped lead initiatives to develop new public/private campuses, including the 250 acre “Nebraska Innovation Campus” to leverage the research strengths of the Lincoln campus in food, fuel and water; a 70-acre expansion of the UNO campus to provide for growth and private sector engagement; and planning for a 100-acre campus in Kearney with private and university activities. He led the development of the Robert B. Daugherty Water for Food Institute, a university-wide, global center to address the challenges of food security and water shortage in the 21st century, and chairs the board of the Daugherty Institute, whose other board members include Jeff Raikes, CEO of the Bill and Melinda Gates Foundation, and Mogens Bay, CEO of Valmont Industries. President Milliken has been a strong advocate of distance education through innovative online courses and programs to connect faculty and students across the state and around the world. He led the development of a new business model for the distance education program in order to offer high-quality, competitively priced high school, undergraduate and graduate education. The university’s Online Worldwide program offers adult learners more than 130 programs and the opportunity to be taught by the same faculty who teach at the University of Nebraska campuses, and to earn the same degree as that of on-campus students. The goal is to help individuals transform their lives by bringing them access to the finest teachers. More than half of the University of Nebraska’s undergraduates receive some form of grant aid that does not have to be repaid, and the four NU campuses have the four-lowest student loan default rates among Nebraska public institutions. More than 2,500 NU students are receiving financial aid from the Susan T. Buffett Foundation, which provides scholarships to students at Nebraska public colleges and universities and sponsors the Thompson Scholars Program at NU, working with first-generation and low income students to increase success. The university recently expanded opportunities in its Virtual Scholars program, which began in 2011, so students from across the state – many in rural districts – are now able to supplement their education with free online courses from the University of Nebraska High School, which is part of University of Nebraska Online Worldwide, and offers a fully accredited high school curriculum. The high school serves more than 2,400 students. He also led efforts to establish the Buffett Early Childhood Institute, a university-wide, multidisciplinary center intended to transform the role of public universities in early childhood development and education. In 2009, the Obama Administration nominated President Milliken as a delegate and invited expert to the United Nations Educational, Scientific and Cultural Organization’s decennial World Conference on Higher Education in Paris, where he represented U.S. higher education’s innovation agenda and served as an adviser to the UNESCO communiqué drafting group. Last June he participated in the US-India Strategic Dialogues in New Delhi with Secretary of State Kerry, where at the invitation of the Obama Administration he represented U.S. research universities. He has led the development of research and education programs in China, India, Brazil and other countries. President Milliken also holds faculty appointments in the College of Law at the University of Nebraska-Lincoln and the School of Public Administration at the University of Nebraska at Omaha. He serves on the board of directors of the American Council on Education and was a member of the ACE Blue Ribbon Panel on Global Engagement. He served on the board of directors of the Association of Public and Land-grant Universities and is the past chair of the APLU Commission on Innovation, Competitiveness and Economic Prosperity. He also co-chaired the Council on Competitiveness’ Regional Innovation Initiative Leadership Steering Committee and serves on the Council’s Executive Committee. President Milliken serves on the boards of the Greater Omaha Chamber of Commerce, the Nebraska State Chamber of Commerce, BioNebraska, the Nebraska Advanced Manufacturing Coalition, and The Nebraska Medical Center, the University’s hospital partner. He is a co-chair of the Nebraska P-16 Initiative and serves on the national Business Higher Education Forum. The City University of New York, which was founded in New York City in 1847, comprises 24 institutions: 11 senior colleges, seven community colleges, the William E. Macaulay Honors College at CUNY, the CUNY Graduate School and University Center, the CUNY Graduate School of Journalism, the CUNY School of Law, the CUNY School of Professional Studies and the CUNY School of Public Health. The University serves more than 270,000 degree-credit students and 218,083 adult, continuing and professional education students. CUNY has experienced increased graduation rates, while ever increasing numbers of high-achieving students are attracted to the University, as demonstrated by the rise in average SAT scores of admitted students and the proliferation of students winning nationally competitive student awards, including Rhodes, Truman, and Marshall scholarships. The City University has also seen a dramatic increase of more than 2,000 additional full-time faculty members, which has played a major role in strengthening its core academic areas. The Macaulay Honors College, launched in 2001, offers a globally competitive program for some of the most academically talented students in New York. The Guttman Community College, which opened in the fall 2012, is based on CUNY’s successful ASAP (Accelerated Study in Associate Programs) initiative, which graduated 55 percent of community college students in three years, compared to the national average three-year graduation rate of 16 percent for urban two-year colleges. College Now, the University’s academic enrichment program, is offered at CUNY campuses and more than 300 high schools throughout the five boroughs of New York City. CUNY offers online baccalaureate degrees through the School of Professional Studies and an individualized baccalaureate through the CUNY Baccalaureate Degree. 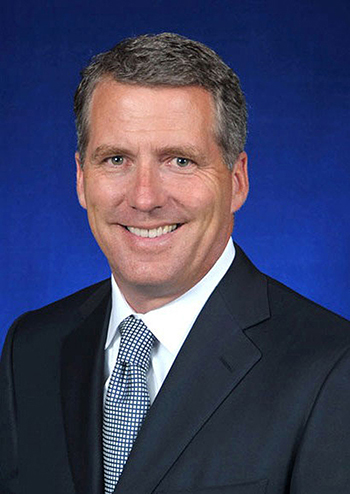 President Milliken will assume the position of chancellor no later than June 1, 2014. He succeeds Matthew Goldstein, who served as CUNY’s sixth chancellor from 1999 until 2013. Dr. William P. Kelly is currently serving as CUNY’s interim chancellor.